Base Map copied from OpenStreetMap under Creative Commons Share Alike v2 licence. TADCASTER BRIDGE IS NOW OPEN. Hurrah !. The Tadcaster Historical Society meets in "The Sanctuary" of the Methodist Chapel. 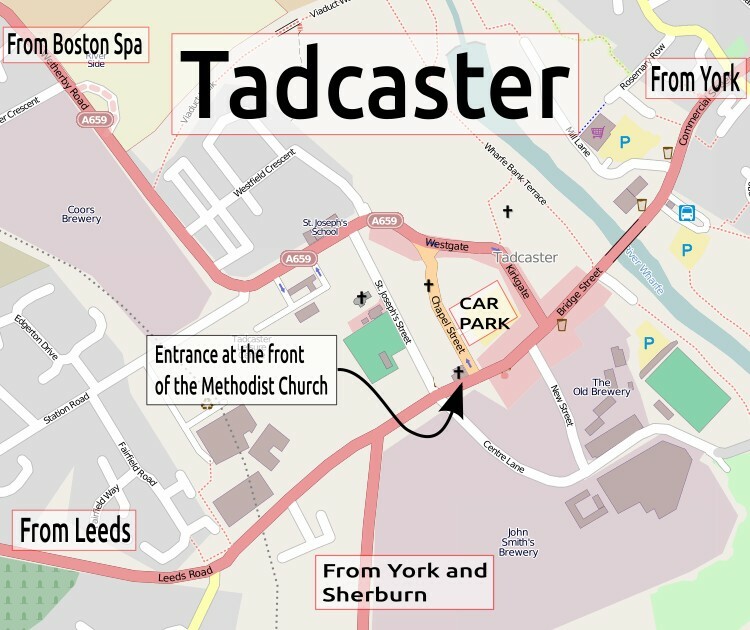 You can park in the Central Car Park in Tadcaster. The entrance is at the front of the church, as shown below. Refreshments are available after the meeting in the side room.